Redmanna Waterfront Restaurant is situated in arguably one of the best locations in Mandurah, on the water’s edge on the eastern foreshore near the old bridge with views along Mandjar bay between the Peel Estuary and the Indian Ocean. 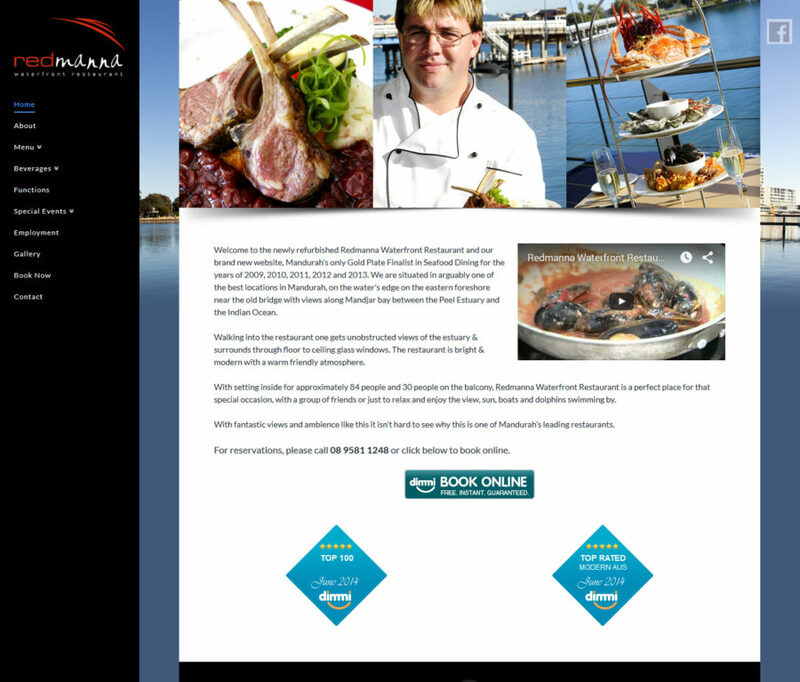 When creating the website, the focus was on improving the previous design, which was also created by Mandurah Graphics. Using WordPress, we set out to develop a website that was responsive, and visually appealing. While the previous website complemented Redmanna’s branding well, and was visually appealing, it needed to be mobile-friendly for those looking at the site on their mobile/tablet, which was accomplished with the new website’s design.